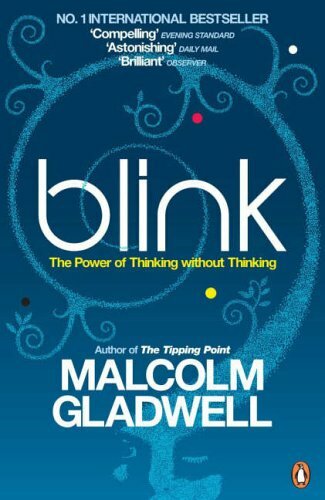 I read a book titled “Blink: The Power of Thinking without Thinking” over the weekend. It is about the unconscious, intuitive power of our mind in making decisions in a flash. Something that can work both ways – good and bad – depending on the situation; and how to harness its power, as well as how to take steps to avoid bias due to it. One of the examples that the author provided was of doctors or medical staff taking a decision on the seriousness of an incoming patient’s illness, based on which the patient will be admitted to the appropriate ward or ICU. And the contention here was that most doctors know within the first minute or so, and have generally taken the decision by that time, at least at an unconscious level. A lot of time is lost in the multiple tests that they pursue later, essentially to collect data and add confidence to their decision. But in the process either it leads to excessive costs or wasted time and delays, which in a resource-hungry environment can be unaffordable. That just set me thinking on whether an individual investor’s stock purchase decisions are also like that. Very often, I have realised that the buy or sell decisions are quite instinctive – after looking at the data – and mostly happen within a few minutes or hours of looking at the company and its core data metrics. Post that, one spends a lot of time, sometimes days, trying to validate that decision – which may not necessarily be bad. But quite often, the analysis does not change the earlier decision – whatever it is – whether to buy, to sell or to not buy, or to not sell also. So what one is essentially trying to do is to add levels of certainty or confidence to a decision that your mind already tells you within the first few minutes. One is trying to add confidence to something one believes to be correct quite early. Eventually, it is a different matter whether that decision turns out to be right or wrong. But the decision is generally taken quickly, and then layers of analysis is added to add confidence to it. Some of the best decisions have been when I have taken both the decision and the action in a flash. It may seem contrary to the detailed analysis approach to investing. It is perhaps also the case, that what earlier used to take a day of analysis now takes only an hour at best. Warren Buffett has been known to say that if he knows a business available at a price, he generally takes less than 5 minutes to decide yes or no. The decisions that have turned out to be the best have often been those where apart from the cold data analysis, one’s mind has a lot of conviction and intuitive gut that pushes one to take action, and which eventually comes into play when one is required to hold it when the numbers do not look good during downturns. Some bad decisions have also been when a detailed analysis of data seems to suggest a buy, but the intuition is not fully convinced of some aspect of the company – like management quality, ethics, business model or anything else. So I am not quite sure what is the best recipe for decision-making in the field of investing – whether a cold rational approach is better or an intuitive approach works best – and this may be something that will have no clear answer as such. I guess the same conclusion that “Blink…” seemed to suggest towards the end may work in the area of investing too – keep working and practicing the approach that works in your area for you, and over time you will develop a strong intuition in the area – enabling you to take decisions in a blink.